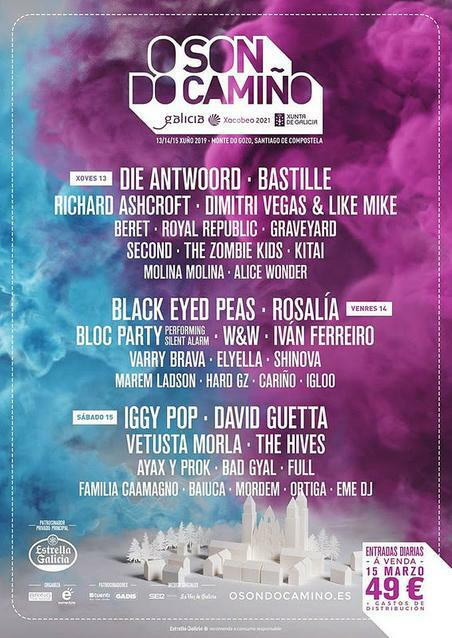 O Son do Camiño 2019, Line up with Por Confirmar, is a festival which takes place from the 06/28/2019 at 19:00 to the 06/30/2019 at 19:00 in Monte do Gozo, Santiago de Compostela, Spain. Por Confirmar will be performing. Its music style is mainly considered Pop and Rock. Clube de Ocio "José Saramago"